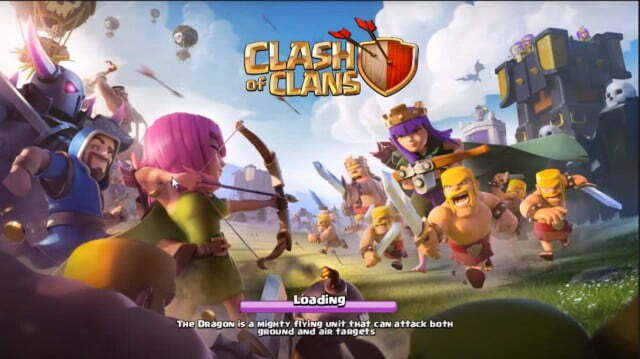 Clash of Clans is one among the most played online game with over a million player base. It’s a quite addictive game and you won’t feel bored after getting your hands onto the Game. But Clash of Clans or COC is a game developed for Android and iOS devices only, meaning that officially it is not released for any other gaming platforms including Windows. But, in this article, we will see How exactly can we Plat Clash of Clans for PC or COC for PC. Clash of Clans is developed by a company called Supercell and was initially launched only for iOS devices. After getting massive success for the iOS version itself, Supercell decided to change the game a little bit. Soon after a year, Clash of Clans for Android devices was launched and that turned out to be even more success. With Millions of regular player, Clash of Clans or COC always topped the Best Games list in the Google Play Store and Apple App Store. Now comes the main part, How to play COC for PC. If you are having any sort of Windows machine running Windows 10/8.1/8/7, we got you covered. 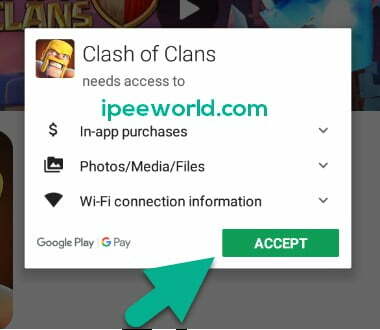 This article will guide you through the whole installation process of Clash of Clans on a Windows PC/Laptop. So, without wasting any more time, let’s get started. As mentioned earlier, Supercell has not released a version of the game for Windows yet. So, we should try some sort of alternate methods to get the game on a Windows OS based machine. What we are talking about is Android Emulators. There are two types of Android Emulators, the first one is Offline Android Emulators and the other one is Online Android Emulators. If you are having a Mac based computer or Laptop, then you can try using Android Emulators for Mac as well. We will be using one such Android Emulator pf your choice. The article mentioned above has a list of more than 10+ different Android Emulators. You can choose one of your choices from the link above, download and install it straight away. So, let’s get with the Installation procedure. Everything will be mentioned step by step. First of All, go the link given above and install an Android emulator of your choice. You can choose from a list of 10+ different Android Emulator including Nox App Player, Bluestacks or MEmu. For this tutorial purpose, I will be using MEmu Android Emulator. MEmu Android Emulator for Android is a great Android Emulator which has an edge for Gaming. This Play specially designed and optimized for playing Games. So, it is really a great advantage for us. MEmu is my favorite Android Emulator when it comes to Gaming. No other Android Emulator in the industry can beat MEmu in the Gaming segment. The controls and all are ideally set in MEmu. Gamers can really get used to it gradually and controls won’t be a big deal afterward. You can select your favorite Emulators like Bluestacks, MEmu, Andy, Nox App Player, Remix OS Player and a lot. That’s all up to it. Assuming that you download and install the Android Emulator on your PC. Once the App store has opened, type in Clash of Clans and search for it. Click on the Official App from the list and hit that Install button. Wait until the Game gets downloaded to it. 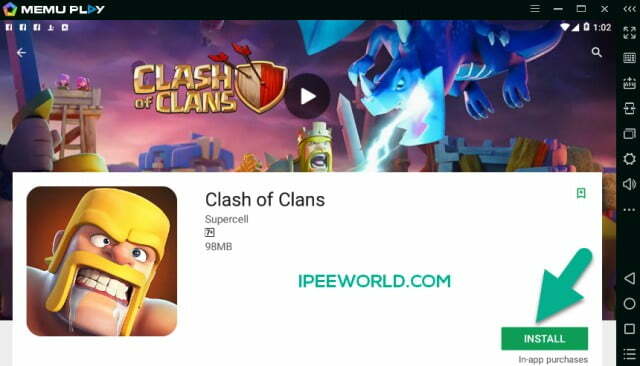 Now you will see a new Clash of Clans icon placed in the Apps drawer. Click on it to launch the game straight away. 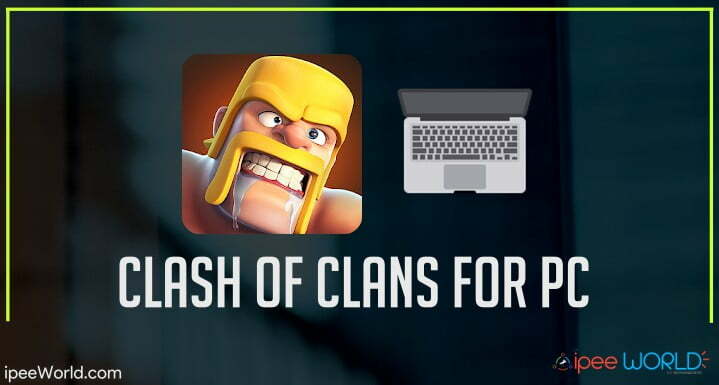 We have successfully installed Clash of Clans in our PC running Windows with the help of an Android Emulator. There are tons of Android Emulator for Windows in the market, you can get your hands onto one that you feel is more comfortable and feature rich. But, for playing intense games like PUBG, Clash of Clans, etc MEmu is one of the best choice that you can go with. This is how we install Clash of Clans in our Windows PC based hardware. Now, you can eno=joy Clash of Clans gaming experience like everyone in your Computer itself. More interestingly, playing such sort of strategy games in a bigger display with Android Emulator is much better than playing it on our Smartphone, At least I think so. Do comment down below if you face any issue with the installation or post-installation process mentioned right in this article.